It ‘s the dream of many, lie in the hammock tied to two large oak trees, relax in the quiet of the Tuscan countryside in the garden of a villa rented for the holidays companions closest friends or family. 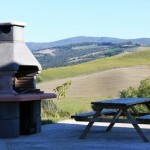 Renting a villa is one of the solutions best times to visit Tuscany. 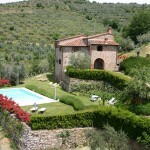 The villas are authentic Tuscan country houses furnished with Italian style and taste. Rent a villa allows guests to combine the convenience to the charm of Tuscan life, barbeque, wine and alfresco will be the perfect end to a day spent in Tuscany. In many villas rented there is the possibility of having the personal chef to prepare dishes or for special events. Rent a villa allows guests to combine the convenience to the charm of Tuscan life, barbeque, wine and the dinner outside will be the perfect end to a day spent in Tuscany. In many villas rented there is the possibility of having the personal chef to prepare dishes or for special events. 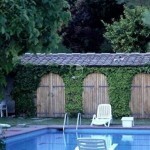 Many of Tuscan villas for rent are granted arenas for romantic weddings or special celebrations. The wind, the hills, the scents of the countryside are locations chosen by people of all types. 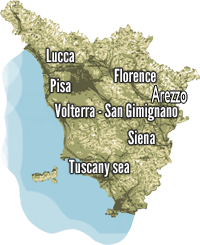 Every year thousands of couples who choose Tuscany for their special days. Wealthy and romantic dream location or rent a simple country cottage full of charm and Tuscan tradition.